(2013) Too often, we fear that uttering those three little words will diminish us, somehow undermine our status and block our advancement. In fact, though, as Leah Hager Cohen argues, these words liberate and empower. So much of the condition of being human involves not knowing. The more comfortable we become with this truth, the more fully and unabashedly we may inhabit our skins, our souls, and the more able we are to grow. 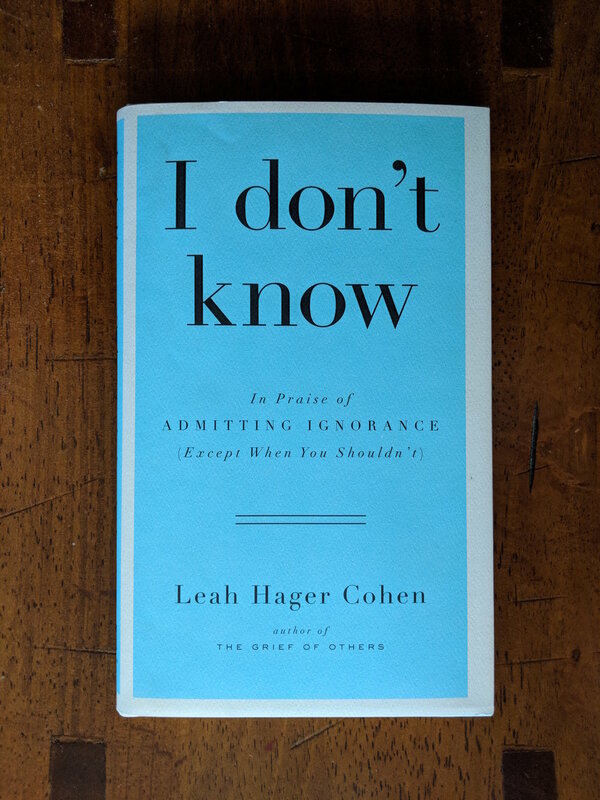 In an enlightening narrative, Cohen weaves personal reporting with research in the fields of anthropology, sociolinguistics, neuroscience, philosophy, cognitive psychology, even fairy tales, to explore the reasons we have been so loath to admit ignorance, and how this harms us. She considers how race, gender, age, power, and privilege may influence our ability to confess knowledge or ignorance. She offers stories—some funny, some shocking—from such varied arenas as education, finance, politics, medicine, warfare, trial courts, and climate change to show the ubiquity of our bad habits, as well as the ramifications and possible alternatives. Cohen's aim is not simply to urge us to gather the courage to confess our ignorance. She proposes something more hopeful and exciting: that we have much to gain by embracing uncertainty. We refrain from saying "I don't know" because we want to avoid shame or being shamed. But such pretense comes at a cost. For when we allow ourselves to be vulnerable, we increase the possiblities for true connection: with others, with new ideas, and with our deepest selves. So much becomes possible when we honor doubt. Short and engaging, but also powerful and wise. Like Socrates, Cohen recommends that we take pride in knowing, and admitting, what we do not know. An inquiring mind knows how to discover questions, and—better still—how to use them to fashion ideas. 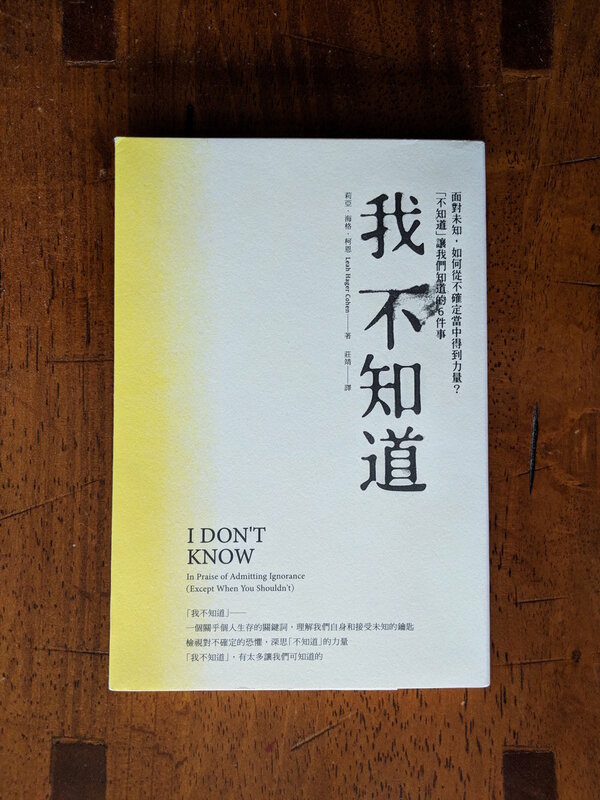 I don't know knows that it doesn't 'know,' and from this creates wisdom.